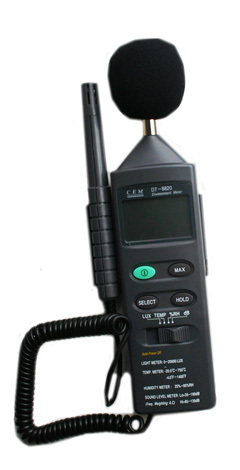 We can measure any aspect of environmental noise, whether it be residential, commercial or industrial. Over 160,000 people in Britain suffer from ear conditions such as deafness and tinnitus as a result of exposure to noise at work. The Control of Noise at Work Regulations (2005) places a legal duty on all employers to ensure that noise exposure meet the documented exposure limits. Any office or indoor workplace micro-climate should be checked to ensure that air changes, humidity and temperature are adequate and within recommended limits - temperature 18 to 20 degrees and relative humidity 40% to 60%. Adequate light is also essential for, for example, DSE work. Powys Safety Solutions can measure these ranges to ensure your workplace complies with the relevent regulations. We can identify any problem areas in the workplace and advise on corrective action where noise, temperature humidity or light control is required. We can advise on ways of adjusting levels, or if necessary identify suitable PPE to protect your staff. We are also able to offer Workplace Health Promotion including advice on cholesterol, blood pressure, diet and smoking cessation.